NO PREP! 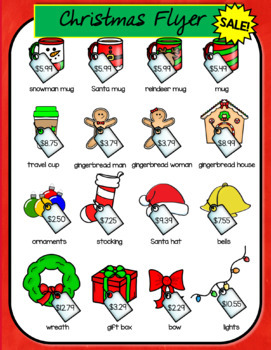 PRINT & GO CHRISTMAS WORKSHEETS! 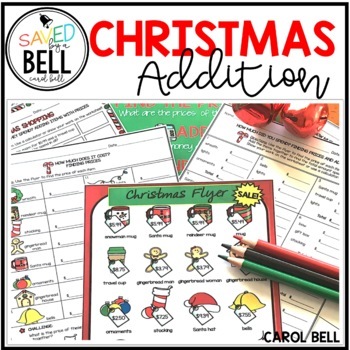 Need some fun CHRISTMAS resources to keep kids engaged before hectic holiday school breaks? These WORKSHEETS are perfect for just that! 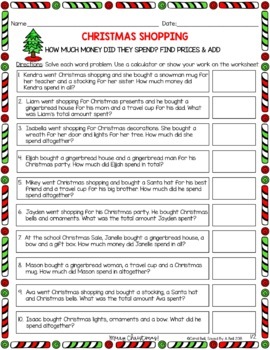 Kids use a FLYER to locate prices and add items up to find the total amount spent using these fun & engaging Christmas worksheets. REAL WORLD MATH! THIS IS A MODIFIED AND DIFFERENTIATED RESOURCE AS IT CAN BE USED ACROSS GRADE AND SKILL LEVELS. These differentiated worksheets provide real-world math addition practice for older kids with special needs and younger kids who are working on mastering functional math skills. A black and white option is included! This worksheet is GENERIC- it can be used with any flyer! ⭐CLICK HERE to Follow Me to Hear About My Newest Products and Sales! Don't forget that leaving feedback earns you points toward FREE TPT purchases!